Adding some sprouts to your daily juice or smoothie is a great way of making sure you keep your immune system alive and kicking. If you are the kind of person who catch everything going then try to add a variety of sprouts to your diet. I find them easy to add to my morning green drinks as it is over and done with. Sprouts are filled with life enhancing enzymes which nourish our bodies. give us energy and sorts out our metabolism. My personal favourite is broccoli sprouts. With its crunchy consistency and cabbage flavour it reminds me of my childhood. Yes folks, in Sweden during the 70s, kids got chunks of raw cabbage and swede at snack time in school. No YoYo’s or flapjacks in sight. As it was what everyone else was having during snack time however you did not question it. Again, this comes down to habitual behaviour and doing what people around us are doing. If you’ve been used to breakfast being a croissant, toast and cereal then changing to a green juice or smoothie could be a step too far. But just as the Japanese can enjoy miso for breakfast, we can enjoy a liquid breakfast once in a while. It is simply a matter of turning what breakfast is about on its head. 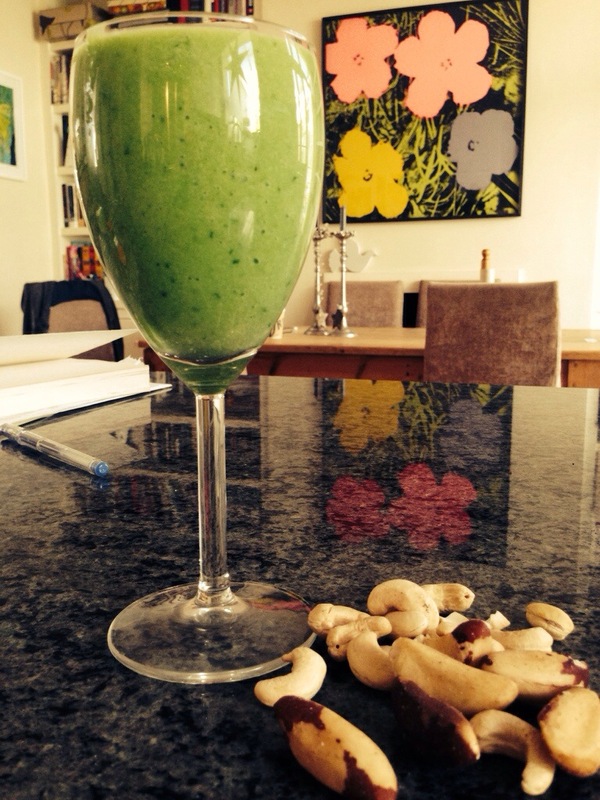 This morning’s brekkie was a smoothie and some nuts – yum!